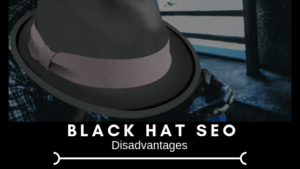 I don’t know about you, but to me the term black hat SEO was not known until like mid of 2018. And after doing some research I realized that it is a good thing that I did not have a clue what that mean. Few months later, I have learnt, there are many types of these wrong SEO techniques. Let me assure you that only reason I am going to reveal them here is to avoid them. It really makes no sense to apply any of these techniques. Otherwise you will be banned by google in short time. In order to have a sustainable business, you really want to obey the white hat techniques only. That means to deliver quality, readable content and build friendly relationship with google. So once we know what to do, lets take a look what NOT to do. What Are the Black SEO Disadvantages. In the past it was quite easy to get to the 1st page of search engines using some manipulation techniques. We will go through them later, in order to avoid them. Most importantly, google will penalized you. Sometimes in a way that your site will not be able to recover. Ever. Some types of such black methods can be considered as against the law. But that is already up to the FTC to decide. But even if you do everything according the proper SEO, you might get hit by some other source who tries to drag you down. Why anybody would do that? Well, some individuals prefer to put energy in damaging some properties instead of building their own. So I am really grateful that more than year ago I stumbled upon an online platform where you study how to do proper SEO, how to get organic traffic and most importantly how you can build lasting business which will be there for years, regardless of any Google updates. Even-though for somebody it might be tempting to go on this dark path (to trick google rankings), please keep in mind that it is only temporarily. Think about it. Google wants to be here for as long as as people will use it. And people will use google if they get quality search results. Many of these “guys” using black hat techniques makes these results only worse. So no doubt that google goes after them. Keyword stuffing is basically a post with more than 1,000 words where you keep repeating one keyword or phrase you try to rank for. That includes close variations of that keyword. To spot such article, is very easy these days, so it does not work anymore. We are in business of selling foam mattress. Our Foam mattress is the best. Check out foam mattress section. If you interested, contact our foam mattress representative. He advises you on foam mattress best offer. Follow us on foam mattress Instagram and foam mattress Facebook page. You wan to do quite the opposite I may say -> to use the keyword or phrase only once in your article. PBN – is number of websites owned by same person or entity. They have one purpose and thus to link to the main site which tries to rank. These secondary sites are not linked to each other. Hidden text can be considered as breach of Google’s Webmaster Guidelines. That includes links as well. How the text or links can be hidden? For example using the same text color as background. Or setting the text size to 0. And please be careful with inserting the link in one small character as to the dot at the end of sentence. Also placing text underneath the image can be seen as violation google rules. If you are interested on how place the image in your content see the article “Google Image Best Practices“. This one is very tempting for many newbies. Having a link to his post pasted on many social media, forums, comment section, including numbers of related Facebook groups. Please be careful with that. This method is only one level above the email spamming and for only one reason – it is more successful. But Search engines can easily detect this spamming and in best case scenario your content will be hidden/not approved. Google got better also in the ads field. I mean it used to be possible to runs ads even without having a website. You used to be able to run the google ad, with affiliate link in it. Visitor who clicks on your ad, is sent directly to the merchant site and once he purchase something, you get the commission. Such structure is no longer possible. So in order to run a sustainable business you have to have a website. And even then you want to be careful with placing your ad. 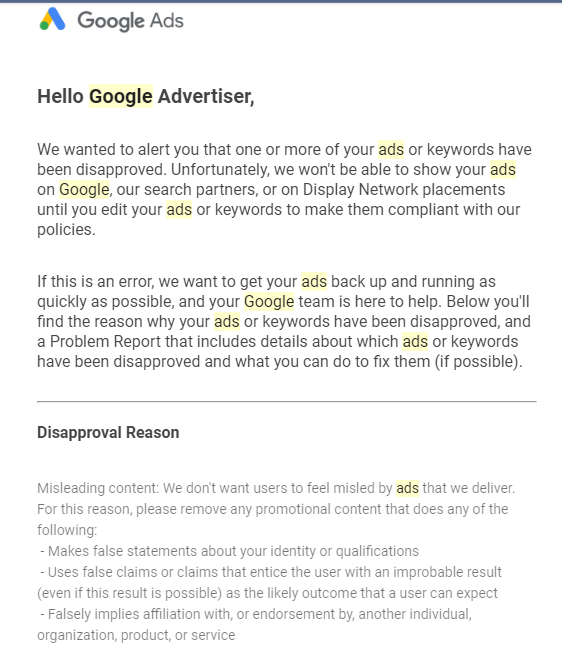 So If you want to give paid advertising a try, you want to check following link in order to avoid the misleading content. So I believe by know you understand that using black hat SEO is a wrong way how to get ranked. There is no point of doing that. Search engines these days are getting smarter and smarter so in order to keep your site alive in long run you definitely want to do it right way. You don’t want to be involved in this black practices in any way. It is not the way how business works. You want to bring value to your readers. You want your readers/visitors to come back to your site, and reference you as a an authority site. That way you build your audience. Is it truth, that black seo requires more work than white seo? I read somewhere that currently it does not worth it, to put effort in such black strategy. It depends. But there are aspects of black hat seo, where you need to put huge amount of work to have it done. Imagine for example that you want to build that PBN (Private Blog Networks). For me building 1 website can be a full time job. And now you would need 5 – 6 additional websites. You see where I am going..
Other black seo techniques might be less time consuming, but once you get banned by google, you will have to start all over again. So I believe, at the end of the day, it really takes more effort than using white hat SEO techniques. So much information in one article. I’ve heard about black hat SEO prior to this time, but definitely not in this manner. One wouldn’t have known the damage it could cause. Thanks for this enlightenment. I love the simplicity at which you write your articles, and I’m so bookmarking this page. Yes it is always good know what search engines companies (google, bing, yahoo etc) consider as unacceptable. Thanks a lot for your comment. I appreciate it. I have actually known about black heart SEO for quite some time and I have to say that it was probably something that worked a long time ago but not anymore. Google has obviously greeted smart algorithms that are able to tell those that create contents for their users against those that create content with the sole purpose of ranking. Measures have been put in place to identify such techniques and penalize anyone making use of them. If you are of the mind to build a sustainable business using google’s search engine as a means of traffic than black heart SEO techniques is definitely not the way to go. Absolutely agree with you Jay. Not mentioning the consequences. Where, once one is banned from google due to back hat technique, has to start all over again. © 2019 SetAffiliateBusiness.com. All Rights Reserved.